I am a teacher living in Genoa, Italy for at least the next two years. This blog features my experiences, travels, and ruminations as I explore my new home, reminisce about my old home in NYC, and try to savor every moment of this amazing opportunity– challenges and all. The tales feature lots of photography, sometimes from my beautiful Canon Rebel SLR, and often with my smaller, portable HD Canon Powershot, which takes great videos and pictures for her size. Occasionally, I’ll throw in some iPhone shots. I like to tell stories about the friends who join me, the people I meet, and I often feature memories of past travels, as I’ve had serious wanderlust since I studied abroad in England Spring 2001, beginning my backpacking travels. Hi! I just wanted to let you know that I love your blog. I came across it when searching for the meaning of “Salty Cats Day,” as I am considering teaching preschool at ISG for 2014-2016. Have you loved your experience there? It seems like you have! Is it possible to travel even on the ISG salary? Thanks for writing this! I sent it to my parents too and they pretty much read the whole thing too! Ps I live in NYC, though originally from San Francisco…Genoa might be my new home! Hi! 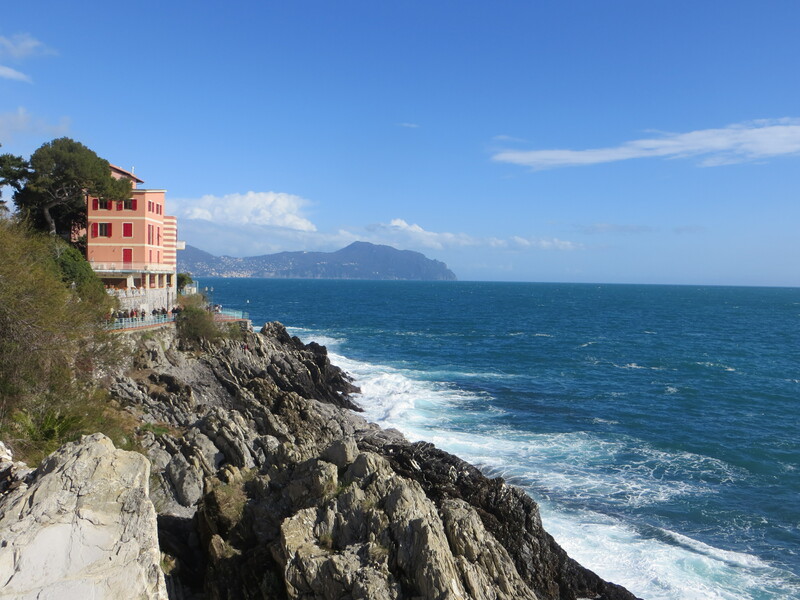 I found your blog while looking for some Genoa tourist tips and have really enjoyed reading it. I’m an American living in London, originally from NJ – and I also went to Fordham. Wish you all the best there. Hi! Thanks! Sorry, I forgot to approve and reply when I first got this. I lived in England for a semester in college. Wonderful. The NJ and Fordham connection as well! Cool! I wish you all the best in London. Thanks! 🙂 How did your trip to Genoa go? Hello! I am about to begin my final year of my education to get my bachelor degree in English as a Second Language (teaching certificate for pk-12). With this degree, I plan to teach overseas. I am traveling to northern Italy in September for a vacation and while I’m there, I would like to visit a few schools. I’m wondering if you are aware of some in the Cinque Terre area that you might suggest I check out? It’s always better to have an insider’s input and guidance! Thank you.